How do I know if I'm allergic to something? With the Hayfever season rapidly approaching, allergies seem like the perfect topic for this week’s blog post. Turn the clock back 10 or 15 years and allergies were rarely mentioned. Yet in the last decade or so, they’ve become increasingly common. It’s estimated that one in four people in the UK will suffer from an allergy at some time in their lives. And the number affected seems to be rising every year. Do an internet search and you’ll find a truly bizarre list of allergies. Some are well known. Pollen and Hayfever. Dust and Asthma. Peanuts. Yeast. Milk – or more accurately, lactose. Others less so. False nails. Adhesive tape. Avocados. And our favourite, squirrel fur, which begs the question of how on earth researchers discovered this one! Joking apart, what these examples all highlight is one important, but often overlooked, aspect of allergies. And this is that ANY substance has the potential to trigger an allergic reaction in the right – or wrong – person. Quite simply, it’s a bad reaction to a substance which isn’t obviously harmful and has no effect on people who aren’t allergic. Instead of recognising the substance for what it is – benign and no threat – the immune system treats it as “public enemy number one.” A full immune response is triggered which leads to the symptoms we’ll talk about a bit later on. In other words an allergy is really just a case of mis identification. Or, put another way, it’s like calling out the riot police to deal with someone who’s accidentally dropped a piece of litter. A completely unnecessary over reaction. Is an allergy the same as an intolerance – or sensitivity? No, it’s all a question of degree. An allergy ALWAYS produces the full immune system response, REGARDLESS of the amount involved. An intolerance – or sensitivity – is just that. A small amount of the substance can be tolerated, whereas a large amount can’t, leading to the full immune system response. What happens during an allergic attack? The immune system floods the body with antibodies, which bind to the allergen to neutralise it. At the same time, other chemicals are released into the bloodstream to help support the process. These include histamine, which is responsible for many of the symptoms of an allergic reaction. Symptoms are many and varied. They depend on the allergen itself and part of the body affected. While it may not be immediately apparent, all allergic symptoms are designed to help clear the allergen from the body as quickly as possible. Watering eyes help wash out dust, pollen or chemicals from the eyes. Rashes or itchy skin are the result of an allergen being removed from the skin. A temperature – or fever – is the body’s way of burning up the allergen as quickly as possible. And vomiting and diarrhoea probably need no explanation at all! In severe cases, life threatening anaphylactic shock can occur, as the immune response completely overwhelms the body. Why do we hear so much about allergies and sensitivities these days? There are so many different theories on allergies, it can be hard to know where to begin. So we’ll quickly highlight some of those we believe play a part. There’s no doubt that press coverage has greatly increased the awareness of allergies. Plus some sensationalist stories. Some of this coverage has been helpful, some hasn’t. It has led to some problems being labelled as allergies, which would tend to fall into the minor sensitivity category instead. Often simple lifestyle changes, such as balancing the immune system or boosting the digestive system, can quickly resolve the issue without the need for any further intervention. Our modern world has seen a huge increase in the number of chemicals and other substances we come into contact with on a daily basis. While these may not cause a problem singly – and in the short term – repeated exposure, to an ever increasing cocktail of substances over a number of years, can lead to problems. This is certainly the case in families with an allergic tendency; shown by asthma, eczema and food sensitivities running down the generations. Added to this are GMO’s, which research has found trigger changes in the way the digestive system works, leading to new allergies or the worsening of existing ones. The reason for this is that when a new gene is introduced into a plant’s genome it becomes, in effect, a completely new food which the body has never come across before. As any new substance is automatically treated as a threat by the body, it’s not surprising that an allergic response can occur. GMO’s will be the subject of a separate blog post, so we’ll dive deeper into this contentious issue then. Of increasing concern are vaccinations, which bypass the body’s natural defences and introduce proteins into the blood stream, which would not naturally be present there. Not only can this cause the lymphatic system to become clogged up, but can also trigger the immune system into an inappropriate – allergic – response. Finally there’s the modern tendency towards a clean, germ free environment. Added to this is the tendency of many people to go to the Doctor for every small ailment. Together they mean that our immune systems simply don’t have to do the work they did in previous generations. This can lead to them going into overdrive when faced with harmless substances or the unexpected. 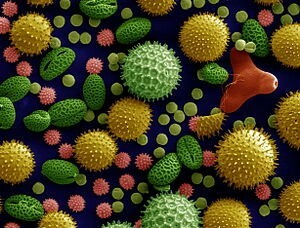 How are Allergies diagnosed by a Doctor? The two most common methods are the skin prick test and skin patch test; where a tiny amount of the suspected allergen is placed on the skin to see if there is a positive reaction. A blood test can also be used to see if there is an immune system response, so confirming the allergy. The usual advice is then to avoid all contact with the allergen. While this may sound like common sense, in reality it is far easier said than done. There is also the risk that an even more serious reaction may be triggered on the rare occasions when the body does come into contact with it. Antihistamines, decongestants or steroids may also be prescribed to deal with the symptoms of the allergic reaction. The alternative approach is to look much more widely than just the allergy, sensitivity or intolerance. Often they will appear alongside other health issues or stresses, simply indicating that the body is currently overwhelmed. Addressing these issues first can often make a huge difference, as well as making the allergy or sensitivity itself easier to treat. Hair tests can also be useful in helping pinpoint the particular problem food or other substance. Desensitisation can then help reduce the problem. Interestingly, this process often highlights a different problem substance to that expected. A common example is that of wheat – or gluten – sensitivity. In many cases, the wheat isn’t the main problem but the yeast used in the baking process. Previous posts have dealt with two of the most common potential allergens – milk and wheat. In future blog posts we’ll talk about other allergies and sensitivities. If there’s a particular issue you’d like us to address first, be sure to let us know.